Erich Bitter – and his Schwelm, Germany, based Erich Bitter Automobil GmbH – started building cars in 1973 when Opel decided against putting a prototype coupe into production. Bitter got the rights, outsourced production, and boom, Bitter is a legitimate manufacturer or sports cars. The company’s followup model was the 1979-1985 SC. It was available in Coupe, Convertible, or Sedan form (you could even buy the sedan in the U.S.). The Coupe was the most popular variant, with 461 of them built and this example being among the last completed. Of course, Bitter was still outsourcing the construction of their cars, and the SC was assembled by Steyr-Daimler-Puch in Graz, Austria. Two engines were available, with this car carrying the smaller 3.0-liter straight-six making 177 horsepower. With styling reminiscent of the Ferrari 365 GT4 and 400 series, it is rather unique, even if it might not boast the most power for a sports coupe. This one is listed as being in very good condition and it should bring between $26,000-$28,000. Click here for more info and here for more from this sale. 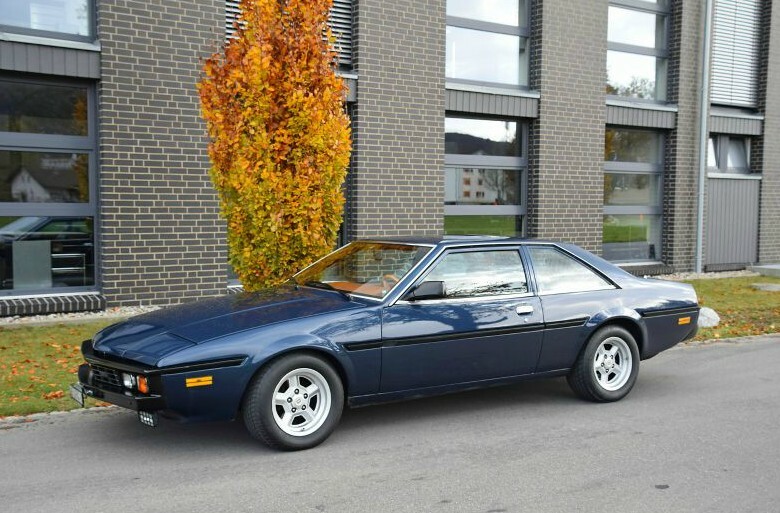 This entry was posted in Uncategorized and tagged 1985, 3.0, auctions, bitter, cars, classic cars, coupe, oldtimer galerie, s/c, sports cars by classiccarweekly. Bookmark the permalink.